Instantly find and remove unwanted and duplicate data from your marketing database and customer lists. 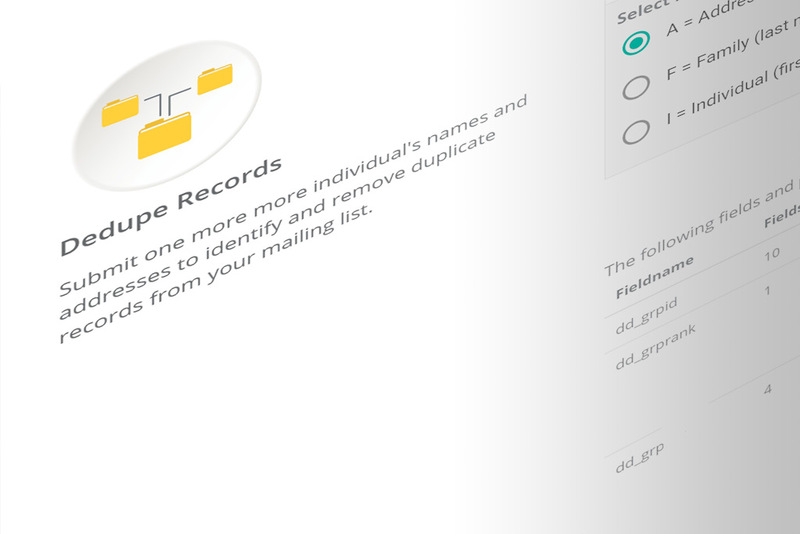 Use our multi-level deduping process to identify duplicate records and redundant data before mailing records for your marketing campaign. Speed-to-market and information accuracy are critical to your marketing campaign’s success. The UpdateYourList.com DIY Portal will assist in finding duplicate records and data in your prospect files in real-time to get the most out of your contact records.